Where do I find a owner’s manual for my car? Help, where can I get a replacement owners manual for my car? When you buy a used car or if you lost the manual to your new car, there used to only a couple of solutions. You could go order one from the dealership and pay a bunch of money and wait weeks to get it or your could try to find a used one at a salvage yard or garage sale or the like. Today that is not the case. If you want a replacement manual, you can still attack if old school style or you can move into more current times. 1) there are a few printers that produce most of the new car manuals and they have replacement manuals available as well. Helm, Inc. offers paper manuals for Acura, Ford, all GM brands, Honda, Hyundai, Isuzu, Jaguar, Lincoln, Lexus, Mercury and Mitsubishi, Toyota and Scion — for a fee. 2) Besides the printed versions, many manuals are available online. Here are several links that allow viewing, printing and even downloading manuals for free from online sources and in some cases they offer the ability to purchase some as well. It is amazing how many manuals there are access to in these links. 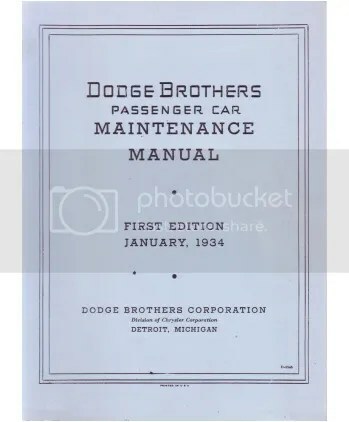 http://www.manualsforcars.com/ Manuals that are not available online, like VW, can be found here in many cases. You can purchase paper manuals for Audi and VW at the links above as the mfg. does not make them available online at all at the time of this writing. And if a used owner’s manual is OK, or you’re after the manual for an obscure model, eBay, Amazon or other sources for used merchandise are always worth a shot. I am always glad to help if you are looking for new or pre-owned car. Please give me a call at 503-708-7269. I am not saying the bail out was wrong. There was definitely some good to be realized but at least be honest and do not politicize it. Bush was going to do it as well. The handling is Chrysler’s bail out went much better than Government Motors!!! DETROIT (Bloomberg) — The General Motors bailout played an important role in the re-election of President Barack Obama, who stumped on the issue in Midwestern swing states. Now comes the hard part: unloading the government’s stake, probably at a big loss. GM received $51 billion from the U.S. Treasury in 2009. Taxpayers have recouped $24 billion and still own 32 percent of the company. The problem is that GM shares are trading at less than half the price the government said it needs to break even. Selling the shares was politically precarious before the election because that would have locked in a loss — $14 billion at yesterday’s closing price. Now that the election is over, cutting the stake could be good for GM’s image and its stock. The question is how and when. With GM suffering as much as $1.8 billion in losses in Europe this year and Chinese economic growth slowing while the U.S. accelerates gradually, prospects are dim for a doubled stock price. Obama is unlikely to sell all 500 million shares at one time, as Republican candidate Mitt Romney had suggested he might, Swagel said. That will reassure investors concerned that GM’s largest shareholder would batter the stock with a share dump. Rather, Treasury will probably engage in a measured sell-down over time, much like it has in exiting ownership in banks and insurer American International Group Inc., which received taxpayer rescues from the Troubled Asset Relief Program that also funded GM’s bailout. GM’s $51 billion was part of the government’s $79.7 billion 2009 rescue of GM, Chrysler Group LLC and lender Ally Financial Inc.
GM spokesman Jim Cain declined to speculate on the government’s plans. GM has the liquidity it needs to buy back government shares after securing an $11 billion revolving credit line on Nov. 5, Brian Johnson, a Chicago-based analyst with Barclays Plc, wrote in a note that day. If Obama were to announce an AIG-style wind-down of the government stake in GM, it could help both sides, Johnson said. If GM were to buy back 40 percent of Treasury’s holdings for as much as $5.6 billion, that would add 12 percent to the value of the remaining shares, according to Johnson. The “Government Motors” tag that dogged GM throughout the presidential campaign is depressing its share price and has hamstrung the company, said Jim Kee, president of South Texas Money Management in San Antonio, which bought 500,000 GM shares in February, expecting a 30 percent to 50 percent gain as the economy recovers. “GM has still got the dead weight of government involvement limiting their flexibility,” Kee said. Even chopping the government’s ownership stake in half might move the share price up, Stover said. Obama may want to wait to start selling until the Detroit auto show in January, when GM plans to display a redesigned version of the Chevrolet Silverado pickup, its top-selling model. That news could move shares in the direction of GM’s November 2010 initial public offering price of $33. GM shares closed at $25.03 on Wednesday. GM’s third-quarter earnings last week beat estimates by 55 percent and automotive profit excluding Europe rose 4.3 percent to $2.63 billion, before interest and taxes, as it commanded higher prices for its models and expanded in emerging markets in Asia and South America. “As we’ve said before, we believe the company’s made real progress, but we don’t think that the market has given the company as much credit as it might,” said the Treasury Department’s Massad. Frank Brosens, a founder of Taconic Capital Advisors, agrees. Brosens said the government “would like nothing better” than to get out of GM stock. Taconic owns 9.03 million shares, according to data compiled by Bloomberg. Brosens said he expects the government will sell its stake in the next six months to a year. GM may buy 200 million to 300 million shares from the government, he said. To Obama, the most important outcome of the bailout is that GM and Chrysler are healthy and hiring. Without government assistance, “we would have lost a million jobs,” the president said in the Oct. 16 presidential debate at Hofstra University in Hempstead, N.Y. The controversy of using taxpayer dollars to save individual companies is unlikely to ever go away, said Swagel, who helped start the auto bailout as part of the Bush administration. Eliminating government ownership of GM, though, will go a long way toward closing the book on that intervention, he said. President Obama, pictured driving a Chevy Volt during a June 2010 event in Detroit, is unlikely to tell the U.S. Treasury to sell all 500 million GM shares at one time, experts say. Dodge continuing to market aggressive and sporty cars does it again. The classics revisited has worked so far. Both the Charger and the Challenger in their 21st century formation have sold well and perform well. I always wanted a Dart, now I get my chance. Chrysler said Tuesday that it will use the Dart name for a new compact car based on Italian technology that it will introduce in the U.S. next year. The brand has a special meaning for St. Louis. When Chrysler opened its south plant in Fenton, the facility began its life in 1959 building the Dodge Dart among other vehicles. Local workers assembled the Dart until Chrysler dropped the brand in 1976. The south plant was torn down after the automaker shuttered the facility in 2008. 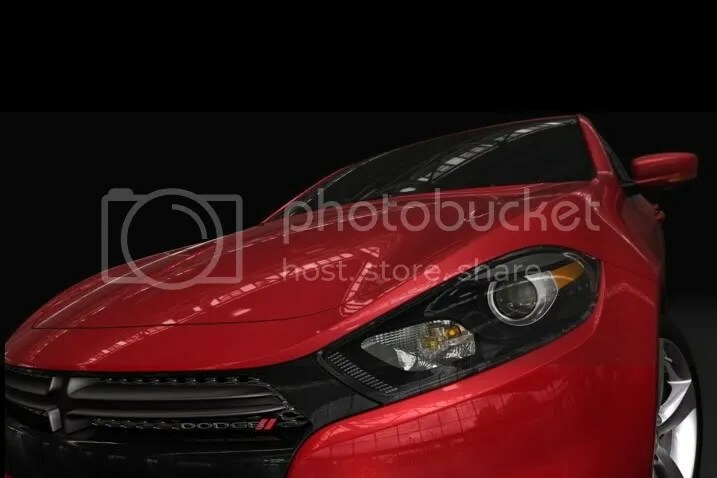 The new Dart, which is expected to get 40 miles per gallon of gas on the highway, is an extremely important car for Chrysler Group LLC, which currently has outdated offerings in the fast-growing compact car market. Young buyers in the U.S. generally pick compacts as their first new cars, and research shows they’ll stick with a brand if they like their first vehicle. The new car is based on the Alfa Romeo Giulietta, a compact sold in Europe, but will be wider and longer to handle Americans’ need for more space. Chrysler said in a statement that the four-door sedan will perform well and be efficient. It’s the first car sold by Chrysler dealers that is based on Fiat underpinnings. The Dart, due in showrooms during the first half of next year, will replace the Dodge Caliber, a slow-selling compact SUV that is based on a Spartan design from Chrysler’s lean years before bankruptcy protection. Two other compact SUVs, the Jeep Compass and Patriot, will still be sold. 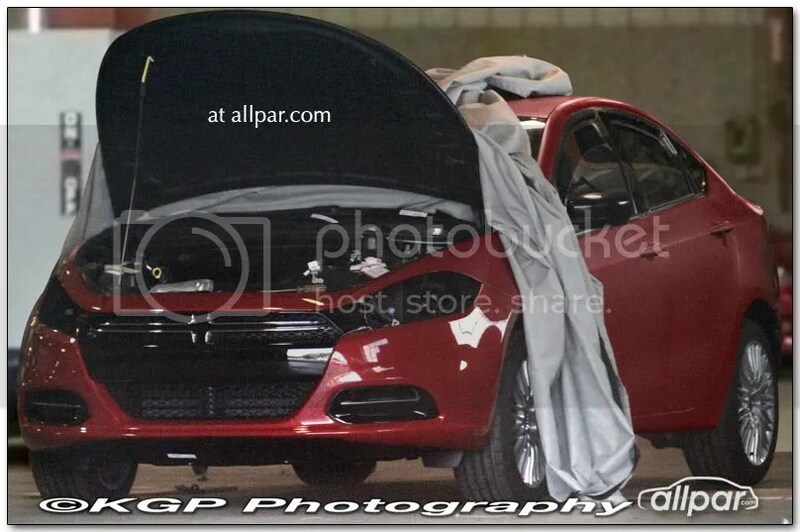 The Dart also is important to Fiat because the Italian company will get another 5 percent stake in Chrysler once it starts making a car in the U.S. that gets 40 mpg. The Dart will be produced at the Chrysler assembly plant in Belvidere, Ill., where the company is investing $600 million. Chrysler said the Dart, to be formally introduced in January at the Detroit auto show, will offer three choices for a four-cylinder engine. It has a 1.4-liter turbocharged engine that also goes in the high-performance Fiat 500, a 2-liter four and a larger 2.4-liter engine. The Dart comes at a critical time for Chrysler, with strong growth projected in the compact car segment. Compacts could unseat midsize cars this year as the largest U.S. market segment for the first time in at least two decades, according to J.D. Power and Associates, a marketing information firm. Rebecca Lindland, senior analyst for the IHS Automotive consulting firm, said growth in compacts will continue as the segment attracts young first-time buyers as well as baby boomers who are downsizing their cars. General Motors has taken advantage of the growth with the Chevrolet Cruze, the company’s first decent small car in recent years, she said. The Cruze, which was just introduced last year, is among the top-selling compacts in the nation through November. She said the Dart will have to be really good because competition in the segment is fierce. “You’ve got to have your best game face,” Lindland said. Chrysler nearly ran out of cash in 2008 and needed a $12.5 billion government bailout to survive bankruptcy protection. In exchange for management expertise and technology, the government gave Fiat SpA control of Chrysler and a 20 percent stake in the company. Under Fiat CEO Sergio Marchionne, who now leads both automakers, Chrysler repaid its government loans, and Fiat bought the government’s stock in Chrysler. The government will lose $1.3 billion of its original $12.5 billion bailout. Fiat now controls Chrysler with a 53.3 percent stake in the company. Under a 2009 deal with the government, Fiat got a 20 percent stake after Chrysler exited bankruptcy protection. Fiat gradually raised its stake and gained a majority share in July, when it bought the U.S. Treasury’s remaining shares. Visit for all the latest in spy shots and rumors! Chrysler and Fiat Producing Growth and New Models! As a guy who works at a Dodge Chrysler Jeep dealer and lived through the Mercedes Chrysler fiasco, I was not excited about a Fiat version of that. As I have watched the 2011 models come out and all the immediate improvements and the commitment to quality, even if it meant delaying the release of a new model and I do have to say that I am excited for the future. I saw the article below online today and re-posted it below. It looks like we can expect some really cool stuff soon. Located in Hillsboro and servicing the Portland and Beaverton Oregon areas for new and used cars trucks and vans. TURIN — Fiat plans to launch a compact sedan in China and Russia based on the Dodge Caliber replacement that launches in North America next January. Both sedans are based on a 40mm-widened version of Fiat’s new Compact architecture, which Fiat and Chrysler call Compact Wide. 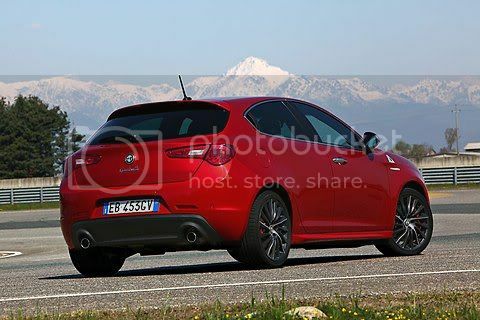 The Compact architecture debuted first on the Alfa Romeo Giulietta compact hatchback last year. 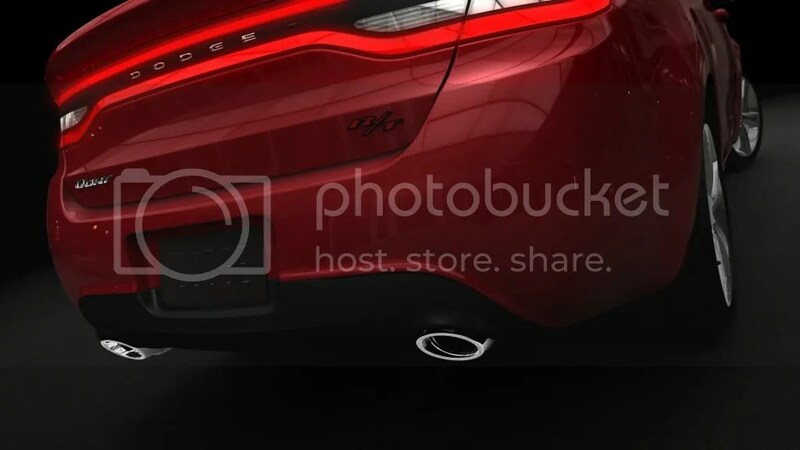 Fiat-Chrysler CEO Sergio Marchionne said the sedans are the first clear example of the global reach of the Fiat-Chrysler alliance, adding that the Compact Wide architecture will become “truly global” because it will also underpin future Jeep compact and mid-sized SUVs. He was speaking at Fiat’s annual shareholders meeting on March 30. The mid-sized sedan could possibly come to Europe badged as a Lancia. Later this year, Lancia will start sales of its first rebadged Chrysler models — the Thema large sedan, a rebadged Chrysler 300C, and the Grand Voyager minivan. Fiat is also looking for sites and potential partners for a 300,000-capacity factory in Russia after a planned joint venture with Russia’s Sollers collapsed in February when Sollers instead teamed up with Ford Motor Co. In Russia, in addition to the two sedans, Fiat also plans to build two Jeeps — the Compass/Patriot and the Liberty/Cherokee successors. When you are looking to buy a car, buy it from someone who wants to work hard enough for you that you want to buy from the same person and place a second time. I know that you need to have personal service and great value along with the best price. Take a look at the Challenger ad below. When you identify yourself as someone who appreciates the Dodge Challenger, you identify yourself as someone with good tastes. It probably extends to the friends you choose as well. If you have any friends you think would be interested in a new Challenger, we have the 2010’s in and one on ad for $21987. Do a friend a favor and pass this on to them. They can email me with questions and I would be glad to answer them. Friends don’t let friends buy junk! Get your Dodge Challenger here! All quotes are in accordance with Oregon law and are subject to availability and subject to change at any time and without notice. Every effort is made to ensure accuracy of all information. We are not responsible for mistakes or other typographical errors. Price quotes are valid only for the day given unless otherwise stated. In order to provide the best possible service to you, please call for an appointment and bring a copy of this email and ask for Randy May. To be removed please reply with “Remove from mailing list” in subject line. Challenger price is valid through 12.14.09 and is subject to prior sale.